As noted a couple of days ago, I broke my Nexus 5 and managed to get a backup via adb. Finally, UPS managed - as usual with their second attempt and one call in between - to deliver the new Nexus 5 yesterday. So, unbox, switch on, log into Wifi, etc etc... and have the system update to 4.4.3. "... and have the system update to 4.4.3." No matter how often I repeat this, it's still weird that a brand new Nexus 5, ordered and shipped directly from Google, comes with 4.4.2 the end of 2014. No 5.0. No Lollipop. As we know, rechecking every 5 seconds for an Android over-the-air update is as useful as hitting the elevator call button 10 times. Well, so enable developer options with the 7x tap on the Build Number. Enable USB debugging. Connect to PC, authorize, find the device with "adb devices". Voila. Let's try the "adb restore". Enter the password on the mobile, this time without the help of the "adb shell input" workaround. The restore starts, and ends without any further message after about 2-3 seconds. Lets check the log with "adb logcat". There's something about mismatched header versions, so lets google this. Well, as can be expected you cannot restore a 5.x backup to a 4.x device. How silly of me to even consider it. So screw it, download the factory image for 5.0.1. Unlock bootloader, apply image, as described. Then the new Lollipop Setup Assistant kicks in and allows me to actually place my old phone to he back of the new one to NFC pair them, and transfer the basic settings (mainly account and Google settings) directly. So I plug in the USB mouse again to the old, broken Nexus 5, and try to find the NFC settings (which are of course in the broken part of the display). 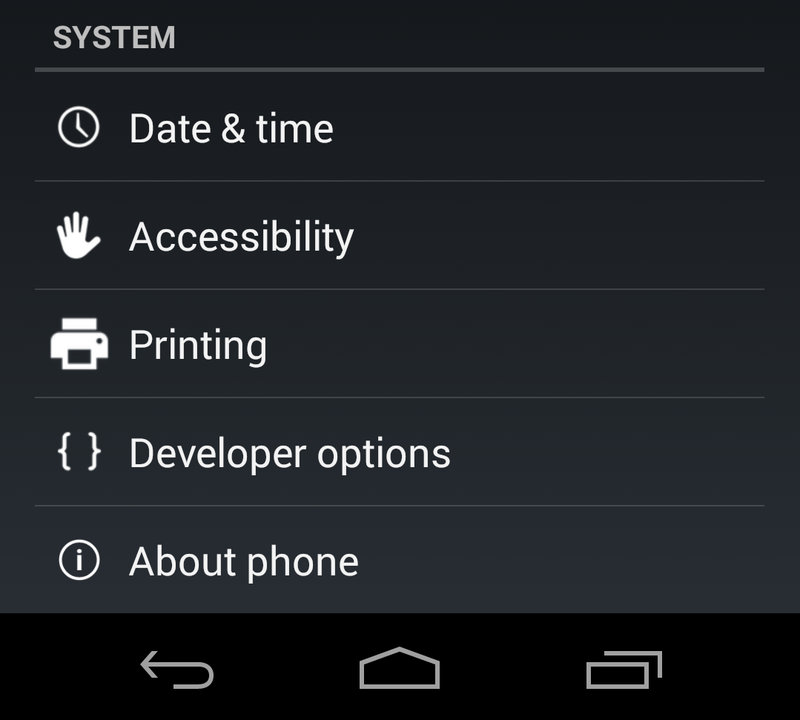 Google around a bit to find there in the settings they are, and manage to half blindly enable NFC. A couple of seconds later I have my account and (Google) launcher settings on the new Nexus 5. A lot of the app icons on the home screen are marked to show that the app itself is (still) missing behind the icon. So I tried to restore the backup. Again enable developer options (I just loaded a new system image, so everything I did an hour ago was of course gone) and USB debugging (and sideloading). And now the "adb restore" really did work. Since there is no proper status on the device itself, I started a "adb shell logcat -s BackupManagerService" in another window to see some progress. And about half an hour later I was done. Most apps had their settings again, but not all. Considering what last-resort hack this was, pretty good. Considering how easy it is, to upgrade from one iPad to the next (via iTunes) this was pretty ugly. The Setup Assistant from Lollipop now supports a lot of options, even restoring data from a previous backup. But I was not really inclined to test this right now. 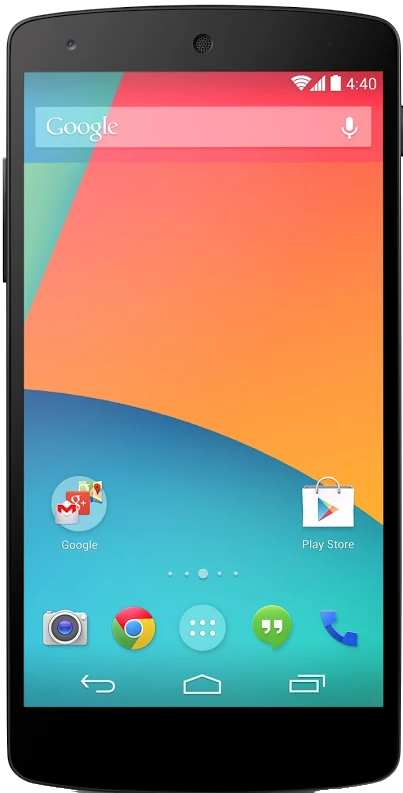 If someone wants to sponsor yet another Nexus device for me, I'd be happy to test this for you. Not only was the glass broken, but the display itself was defect in large areas as well. Touch of course did not longer work. I visited a repair shop just down the road, and guess what, they only have Samsung and Apple spares on stock, and I got the tip to use a cover next time. Yeah right, Thanks a lot. So with the broken display and all, I decided to purchase a new one (via Play store), which is en-route to Vienna right now. In the meantime I was trying to save whatever I can from the old device. 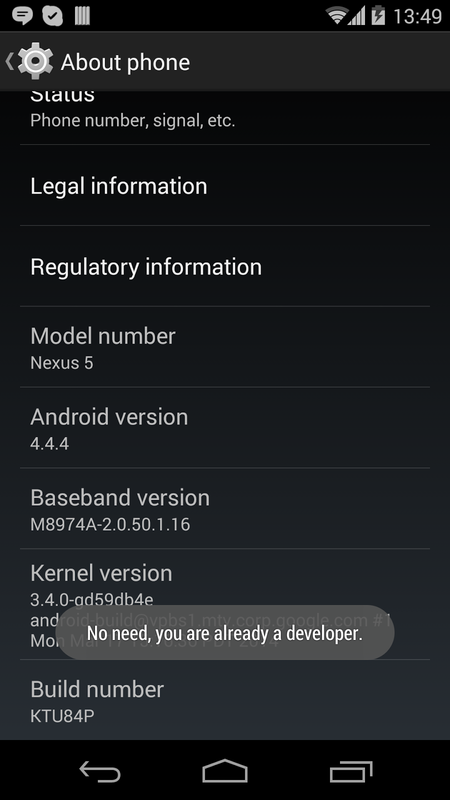 My Nexus is unrooted without even a hint of Titanium Backup or the likes activated. Luckily I enabled the developer options as a first step after I got it. So I connected it via USB to my PC and saved whatever as accessible this way. I have the Android Developer Kit / SDK Tools installed on my PC, so I have adb at hand - the Android Debug Bridge, which is needed for the following steps. Then I tried an "adb backup", which prompted for a confirmation on my device. Of course, with no touch and the broken display I could not enter one. Connect a USB mouse via USB converted to the phone. Yes, I really wrote that. A regular (PC) USB mouse. And you'll also see a regular mouse pointer on the display then. How cool is that. Unlock the phone by drawing the swipe pattern with the mouse. Then immediately (with the mouse again), go to settings and change the pattern to a PIN. The PIN can be easily sent via USB from the PC, the pattern less so. Now we can disconnect the mouse again. Connect the phone to the PC again. Run "adb devices" just to be sure you are connected (all adb commands are of course from the windows command line or whatever your "host" operating system is). Then you should get the PIN prompt. Then you'll get the full backup confirmation prompt, which needs to be answered again with the help of adb shell input commands. adb shell input text password . However, it does not accept the keyevent 66 to confirm this dialog; this literally inserts a new line at the end of the password. Luckily you can also emulate touch events via USB. Some research, some guessing, and trial and error showed, that this button is roughly in the area of coordinates 800,1750 (so in the right third and just above the button bar). The display is 1080x1920 in size, so that was easy to guess and test. Tomorrow I shall hopefully receive my new Nexus 5 (if the UPS guy for once delivers on the first attempt) and then I can report on how the migration to the new device works. The screen is 1080x1920; so the start position for our swipe is 500/1900 , i.e. quite in the middle, almost on the bottom, the end is 500/900, i.e. quite in the middle, quite in the middle, and almost perfect swipe to unlock. substitute your real desired password for password here, right after text. Earlier this week I had a good discussion and exchange with Max - mainly on the Moto 360 watch, but also on a lot of Android / phone topics. We were sort of mentally debugging a battery/power problem he had on his device (1+1), while my own Nexus 5 was lying around as idle as possible: I had to put it into power saver mode because my own battery was down to 5% at 7pm already. change email sync frequency in Boxer from Automatic(Push) to 15 minutes. but also to install the Wakelock Detector app (WLD), to check if any app is blocking my phone from going to sleep properly. Since my phone is not rooted (and I have not intention to root it - for the time being), I needed to provide a little help and trick to WLD: essentially through local tpcip connection to the adb on the device. Very well documented here. So, let's see what I'll find out. and BeyondPod on my Android Phone (Nexus 5 with Lollipop as of this writing), where I listen most podcasts, especially the daily ones. A couple of months ago I changed the playback speed in BeyondPod to x1.3, i.e. 30% faster. I found this the ideal speed to accommodate all the daily (mostly tech) podcasts into my daily commute schedule, while still being at a good pace for listening. However, some feeds, I like to keep on regular (=x1.0) speed. I guess, the less techie the podcast is, the more narrative it has, the more I like to listen to it at it's original, intended pace. Take the Serial Podcast, for example. 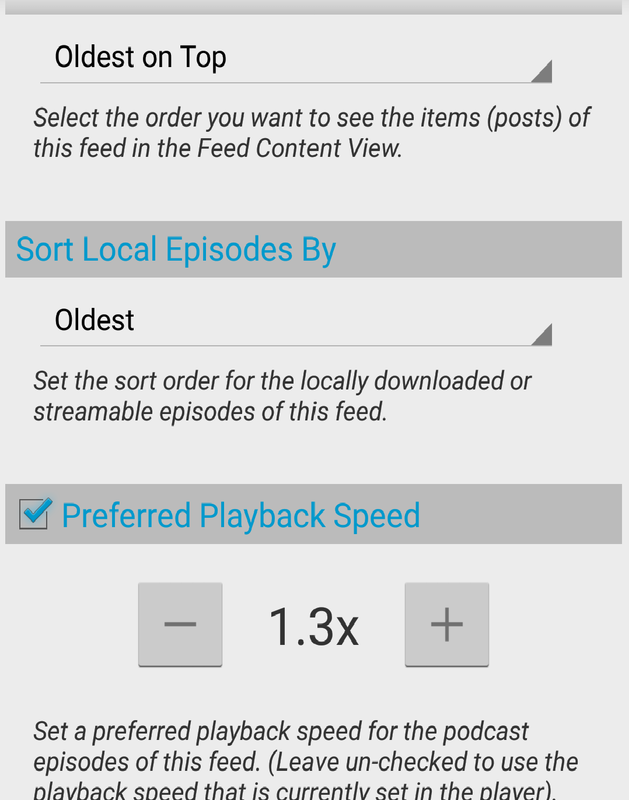 So I always went into the BeyondPod app, and changed the speed - simple. I was pretty sure, that there is a better way for this, like setting the speed on a feed level. Today I remembered to look for this. And - of course - BeyondPod can do that. However, sometimes you need to be very confident that a certain feature/option "just must be there" in order to find it (especially outside the Apple environment). Ok, not strictly a technical topic. 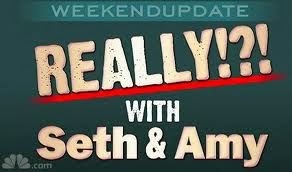 But a couple of weeks ago I stumbled over the Serial podcast. I really perfectls combines the podcast format/medium with long form journalism (one whole season!). And the podcast is technically perfect as well. 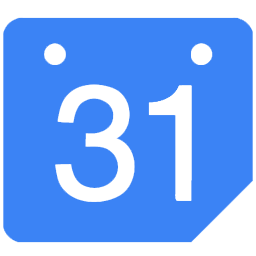 Finally a Google Calendar Provider for Thunderbird/Lightning has been released that's based on the gdata api, and not just a network XML link. Problem with the later approach was - to me - that you needed to add each of your calendars separately via their URLs. That seemed to have performance impacts as well. I had about seven such calendars, and it significantly (with my other CalDAV calendars) slowed down Thunderbird start-up time. When the new provider was released a couple of days ago, I first really noticed, because it forced me - with a separate pop-up - to authorize it for my Google account. With seven calendars this step kept popping up - seven times, of course - but still for the old calendar URLs. Performance was really nasty... Thunderbird was unusable essentially. For some weird reason, I tried a "New Calendar" > "On the Network" > "Google Calendar" and found, that it was actually letting my select Google calendars by account, instead of just letting me add the XML link per calendar like the previous version. So first thing, delete all my old Google calendars in Lightning, and try the "New Calendar" > "On the Network" > "Google Calendar" again, with my Google account, and voila, it presented all the calendars I had on Google. With the color as on the web. I only needed to select the ones I wanted in Lightning, and that was it. The other day, I noticed that Google Maps rendering on my Chrome (v 36.0.1985.125) on Windows (7) was so broken, that Google Maps essentially became useless. At the same time it worked fine in Firefox and Internet Explorer (yes, I admit to having IE on my machine, just to test stuff like this). Finally with some refining of search terms, I found the following hint. Turns out, in this case you should disable the video hardware acceleration in Chrome. Just open the settings, then search for "accel", and disable it, i.e. unmark the checkbox, if it is marked. 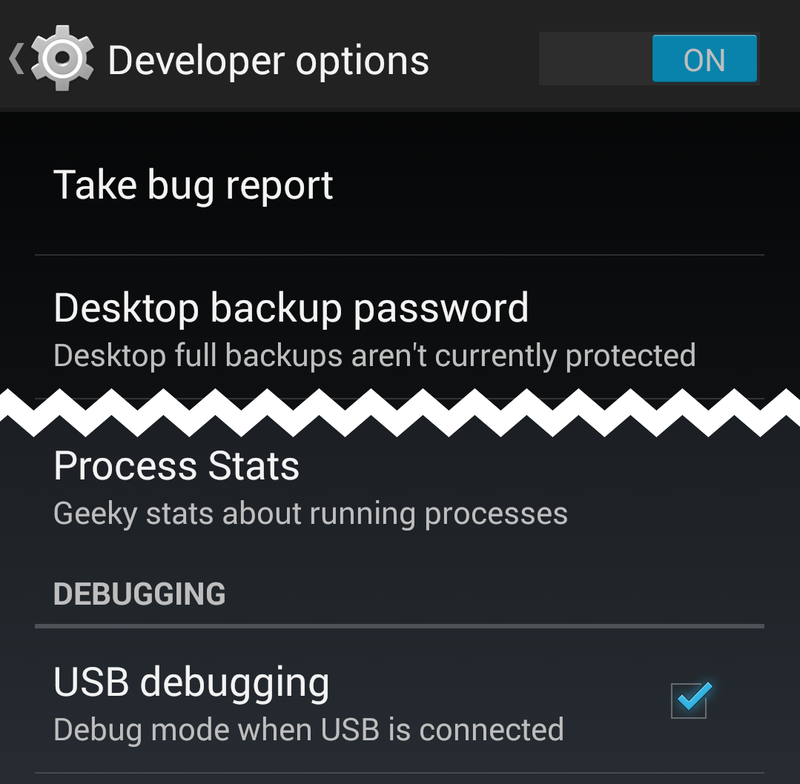 To USB debug your Nexus 5, first enable USB Debugging in the Developer options. Once done, in the Settings menu under the Developer options enable "USB Debugging" and connect to the PC via USB. From a command line check if you can see the phone with "adb devices". If none shows up, you might want to kill any running adb.exe instance from the task manager and retry. If this still fails, open the Windows Device Manager, and look for the Nexus device right at the top under "Android devices". If this shows an error or warning, you need to install the proper driver. Right-click on the "faulty" android entry in the list and select "Update driver software". Point the update to the android-sdk path on your computer. It should find the "Android Composite ADB Interface" driver. Frequent readers - or close followers - of this blog will know, that the share feature (SEND intent) is one of my favourite features on Android. To recap: it allows any application to share content via (or send content to) any other application, e.g. email, facebook, google+, sms/text, bluetooth, ... You name it. All that needs to be done is for the target app to register itself for handling certain content types, and then it can be picked by the user, whenever a suitable content type needs to be sent. 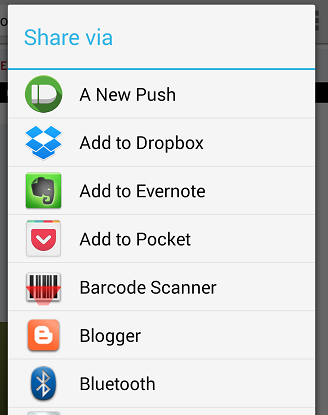 Android will automatically generate the list of all apps that are available for this content. Now in order to be at the top of that list, most apps "fake" and "A" into this name. But this is getting out of hand. So this makes the alphabetical sorting totally pointless. The lack of Android updates and the (inevitable) decline in battery duration - my HTC One S was already 2 years old - made me go to the Google Play store and get a Nexus 5 (32GB). With the wireless charger. 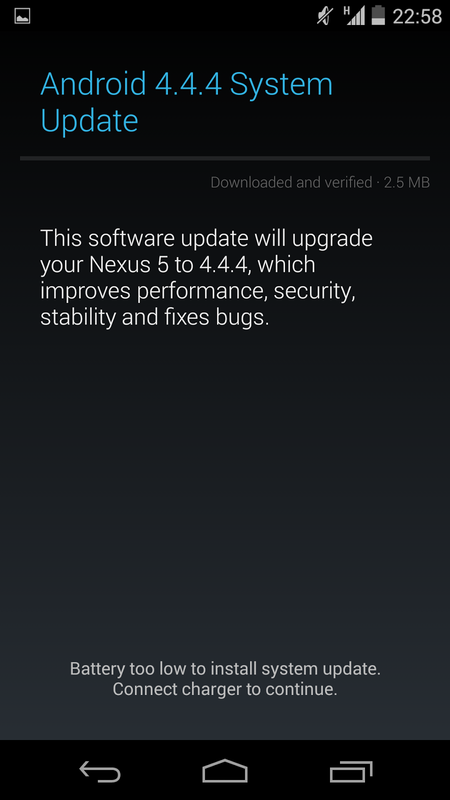 It came with 4.4.3 and this night updated to 4.4.4. This time I went for un-rooted and no bootloader. Transferring apps and data was easy...Google-Login and then the apps just re-install from the play store, 99% of the data is in the cloud anyway... The most cumbersome part was getting the login and account credentials into all the apps. Even this was easy with LastPass on Android - expect a separate post on this. Only for two apps I needed to move local data; one was BeyondPod, my podcast manager and player. 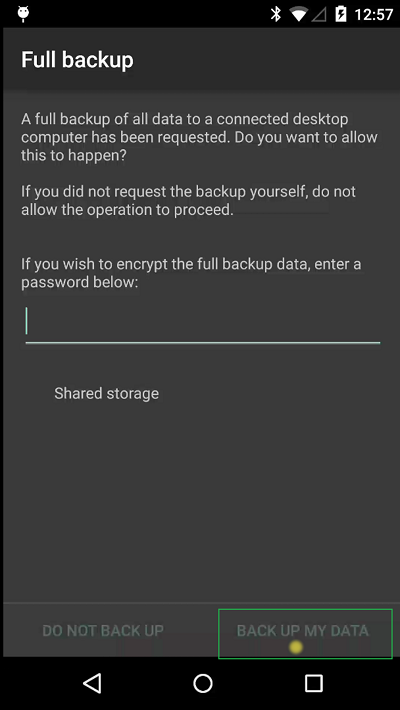 However, this was totally easy: do a backup on the old phone, choose to share the backup via PushBullet to my Nexus 5 (also an upcoming story), within a second receive a notification and the backup on the new phone, and open it in BeyondPod. That's it. All subscriptions incl listened-to state are now on the new device. The call history, sms/text and Wifi settings I got with a Titanium XML Backup (does not require root) and restore. Not too important for call log, but great for Wifi settings. So now I'm sorting out where I really miss HTC sense, but it's not a lot. Turns out the HTC contacts, mail and calendar apps had some nice advantages over stock Android. Also turns out, that the (stock) Google Now Launcher does not have badges anymore, so I'll miss the little red number on my email/gmail and others. 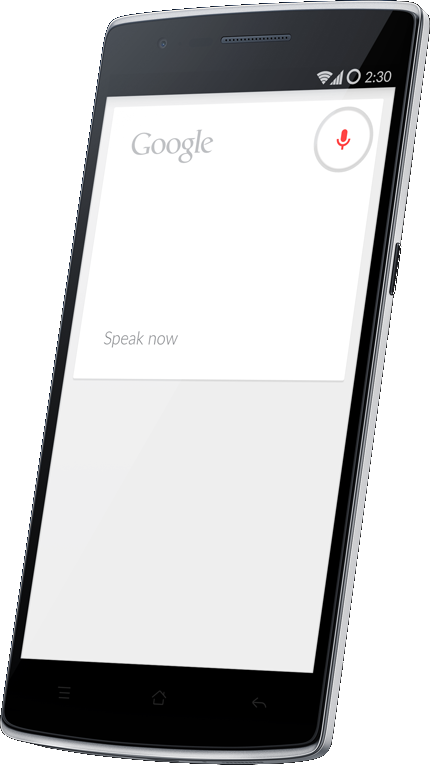 The Google Now launcher is OK, especially with the Google Now just being there. But - by Max's recommendation - I'm now testing the Aviate launcher... Sigh... 3rd story that I need to write. Suffice it to say, it's free, by Yahoo, intergrates well, and - most importantly - guesses your context (i.e. work, home, travelling, ...) and adjusts the app/widget groups accordingly. Let's see in some weeks how this works. So, stay tuned for some more stories on it. Enter timer in the Google search or awesome bar of your favorite browser, and Google will present you a nice little timer app/widget. Just then enter whatever time you want/need and start. You can also go fullscreen, e.g. if you need to project this during presentations or so. 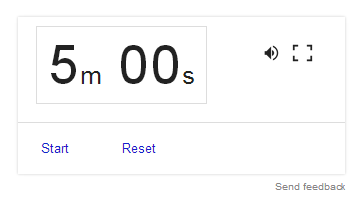 Cool thing is, wherever you have google, you have this timer. Where are the Mesh Networks? With all the (justified) uproar about the NSA and GHCQ, which should actually be an uproar against the Telcos and ISPs (and backbone providers playing along) one wonders, why there is no rush to mesh networks, giving us a bit more independence of centralized networking providers. 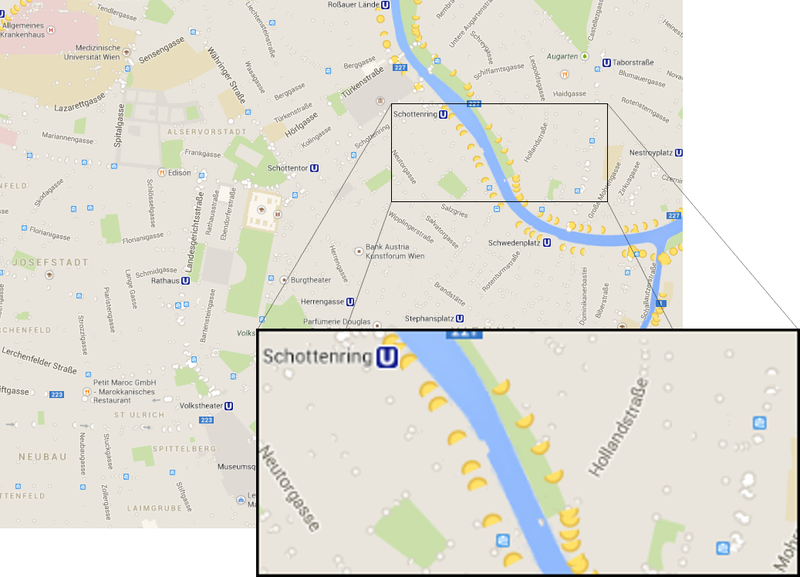 A couple of months ago, the Austrian Federal Railways (ÖBB) opened their data for Google (maps). Whether this can be already considered "open data" or not, is not todays subject. Wiener Linien (let's call them the Vienna Transport Authority) did not. My concern is, that Google now has the time table data of the railways, but not of the (local) public transport in Vienna (underground, tram, bus). So, because there is no underground/metro/tube data. Incidentally ÖBB also operate the airport transfer bus, which happens to have a station right next to my office. 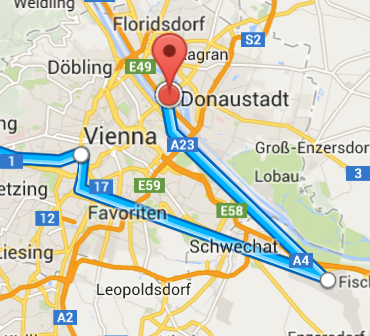 And thus... Google Maps fills the gap in Vienna with a nice little transfer to the airport and back to my office... Because that's the only routing data (apart from walking) the find. My regular commute time is around 50 mins. So please, all, get your act together. In my earlier post (and comment discussion) about Opening ICS Files with Thunderbird/Lightning we mentioned that you can also drag the .ics link directly from the browser to the calendar pane in Thunderbird/Lightning. I also found, that this is not always working. So - as promised - I looked into this a bit. Then I just downloaded the resulting .ics file to my local hard disk into a folder that was mapped into my webserver (Tomcat 7). I wrote a tiny .html file that mainly included a link to the .ics file. Then open the html file in Chrome/Firefox and drag the download text/link into (or is it onto?) the Lightning calendar pane in Thunderbird. Ignore the second line for a second (no pun intended). Well, that was surprising... So I went on to waste a lot of time with checking the mime-type etc etc. So I took some Java drag&drop code I had, and took a closer look at the data included in the DnD object. Also everything fine there (I spare you the details here). No wonder it gets a 404 and cannot import anything. Quick test to include a "?" in the a href (see above, the second line I asked you to ignore earlier). And with this link, Thunderbird really imports the file and opens the event dialog. What Lightning does, is - wrongly - append the text of the html anchor ("download" or "download?") to the URL. You can test with naming the anchor asdfgh and will see that /test/download.icsasdfgh will be requested. Why does it do it ? It seems to be that Lightning picks up the HTML fragment data type that gets passed by DnD. The browser passes the full anchor, from begin tag to end tag (see above), and Lightning stupidly parses until the first newline (\n), and throws away the HTML tags. I'll file a bug in bugzilla. 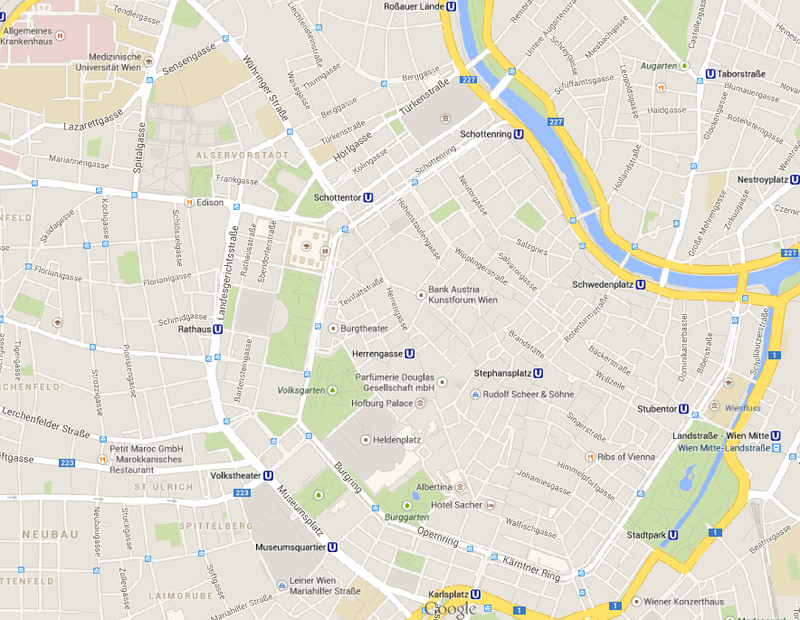 Since mid December Google Maps Navigation is finally available for Croatia. I drive from Vienna to Zagreb every month or so (for business reasons) , and, yes indeed, I do know the way by heart now, but within Zagreb itself, it really annoyed me that I only had the maps, but no turn-by-turn navigation.